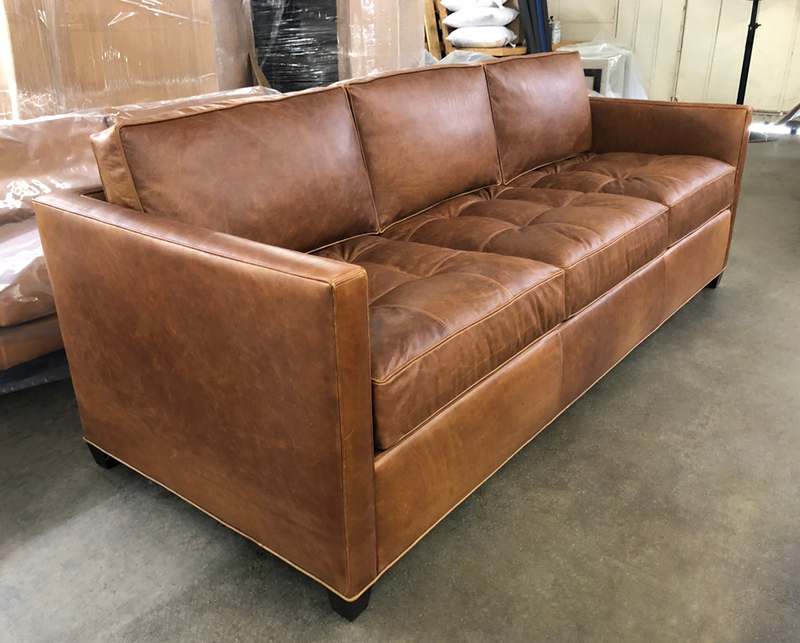 This beauty was delivered recently to Baltimore, Maryland. 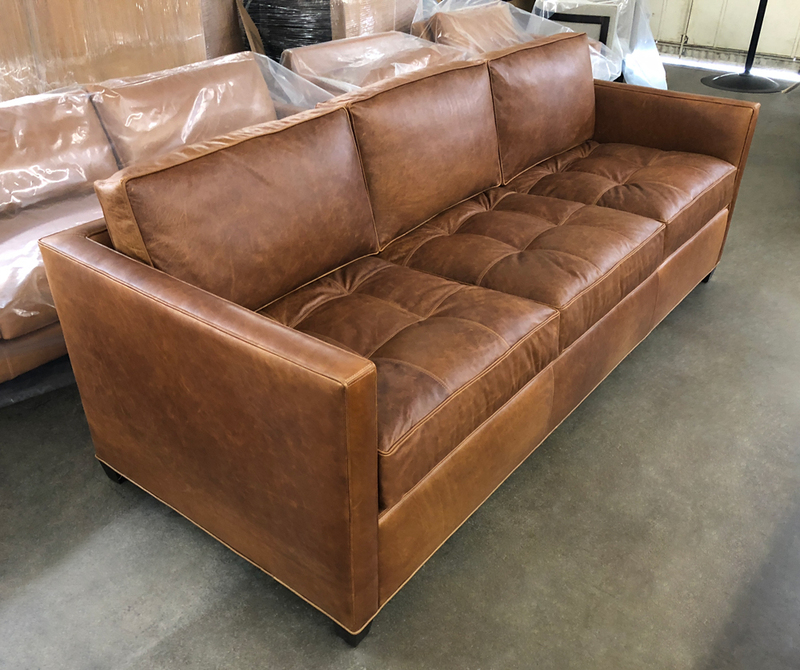 This is our Dexter grand Sofa in Vintage Brown Semi-Aniline Leather. 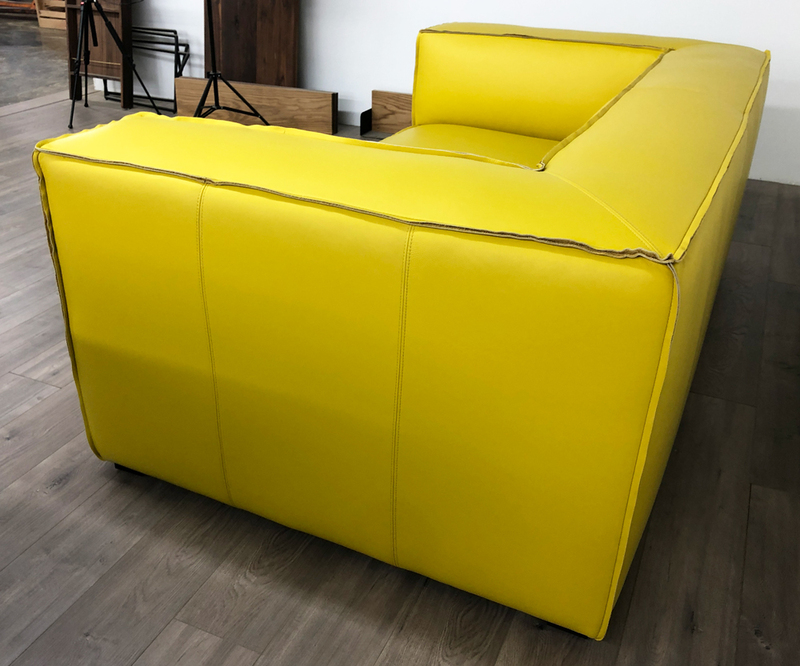 See our Dexter collection here! 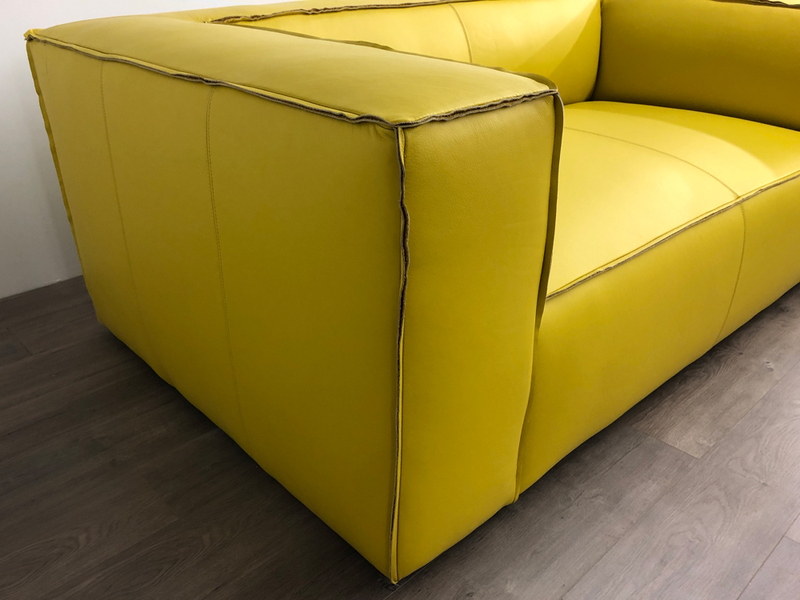 Our Semi-Aniline leathers are extremely tough, have that beautiful distressed look and are extremely scratch and stain resistant. 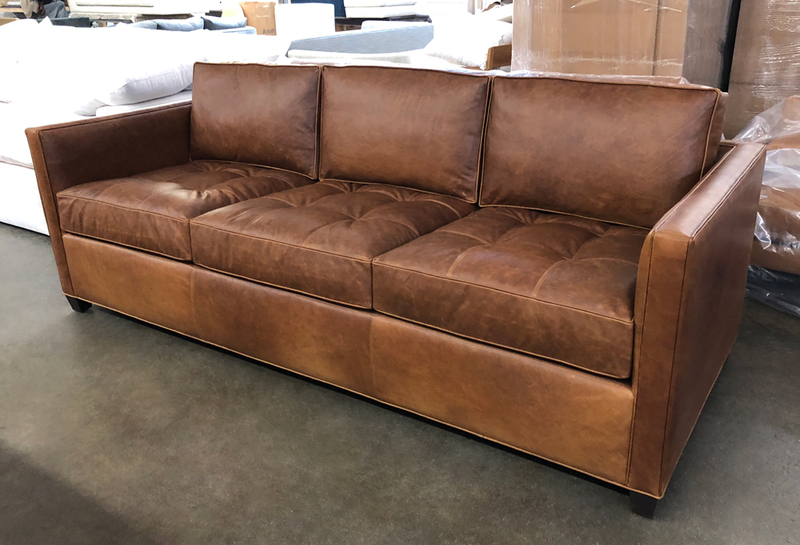 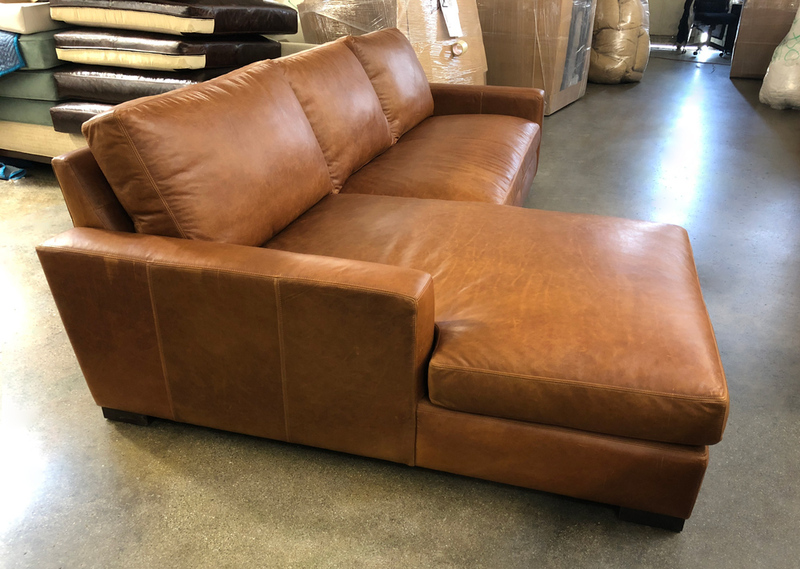 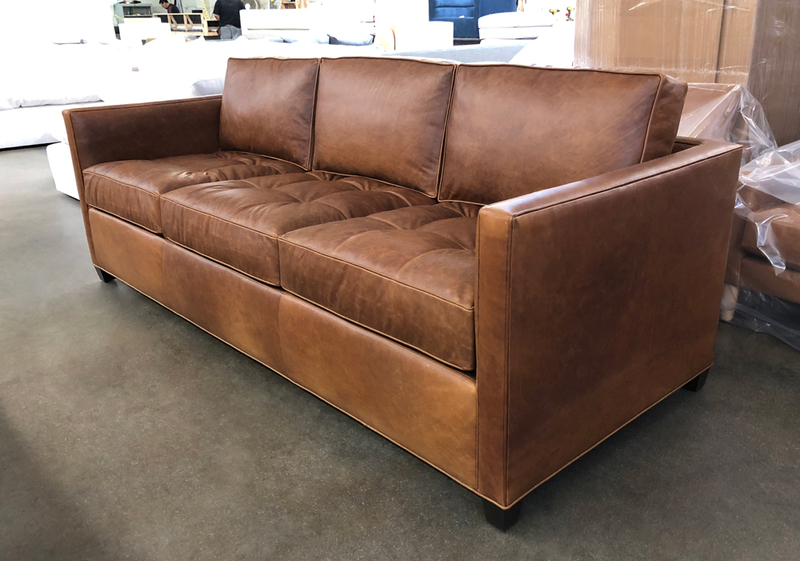 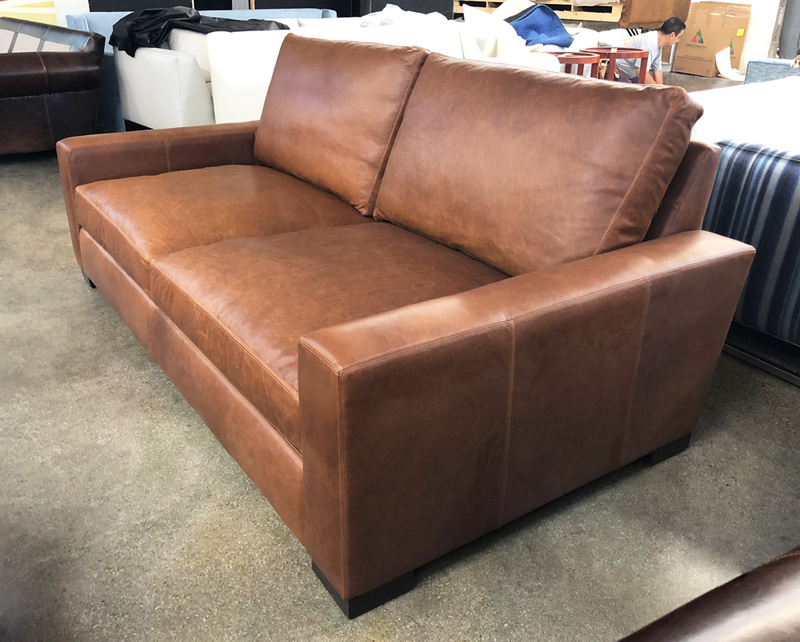 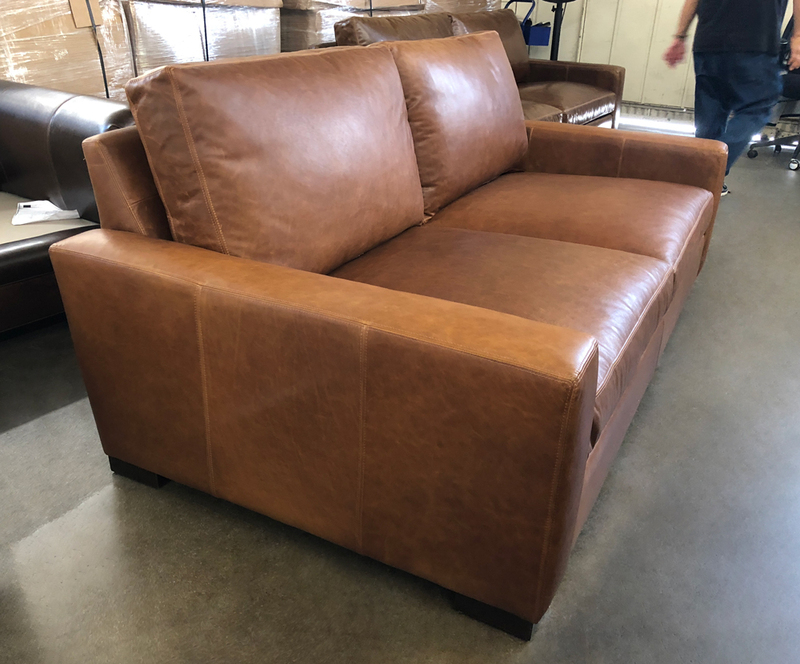 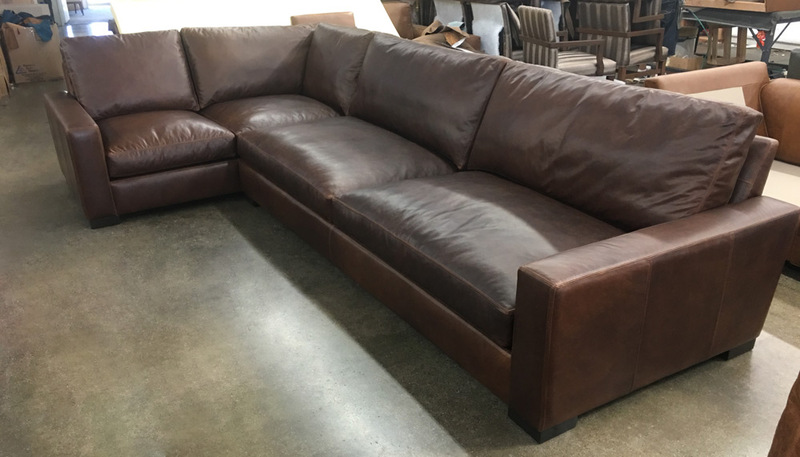 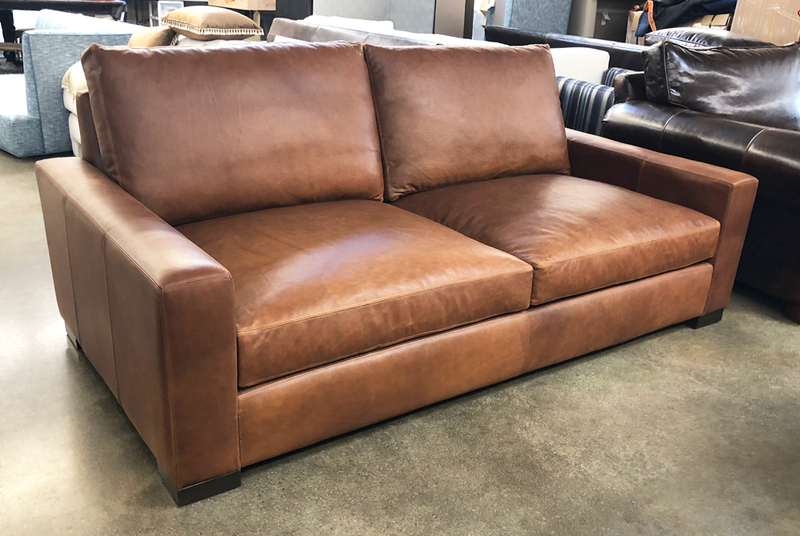 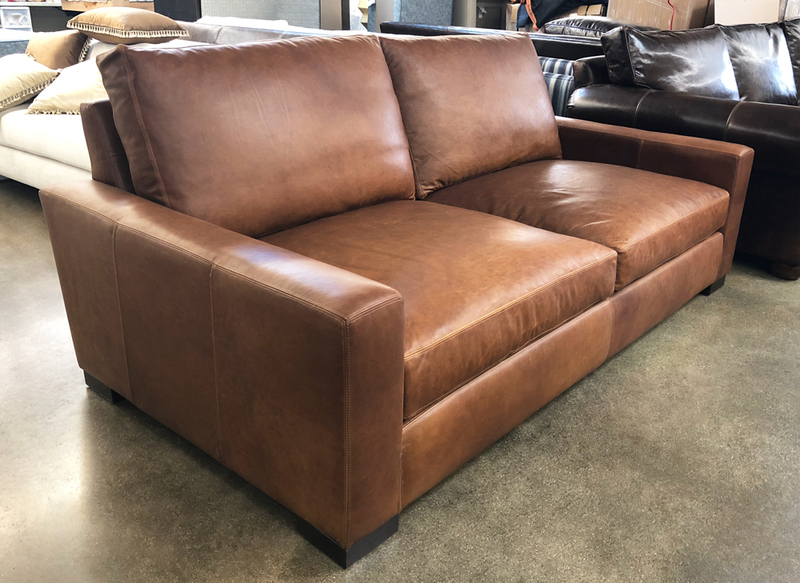 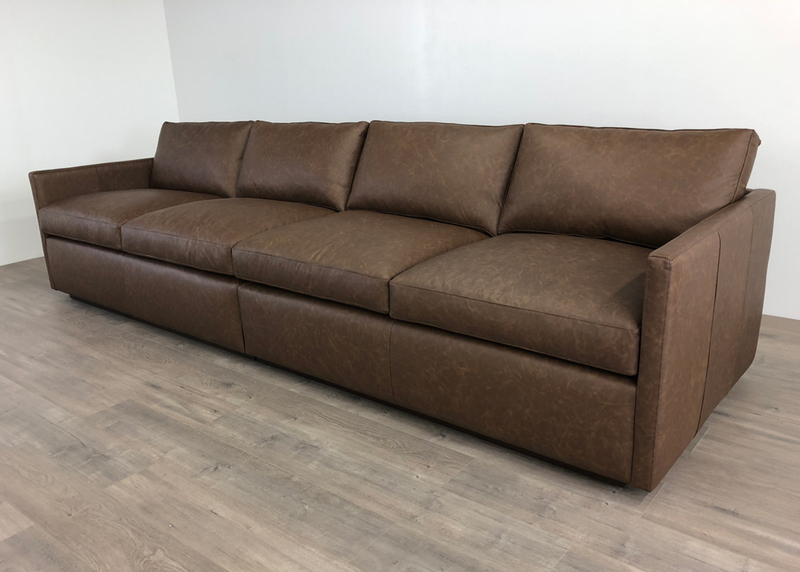 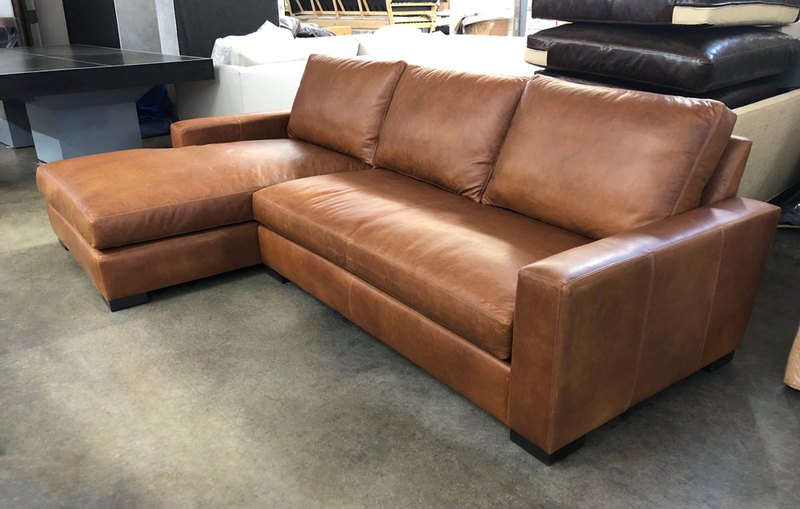 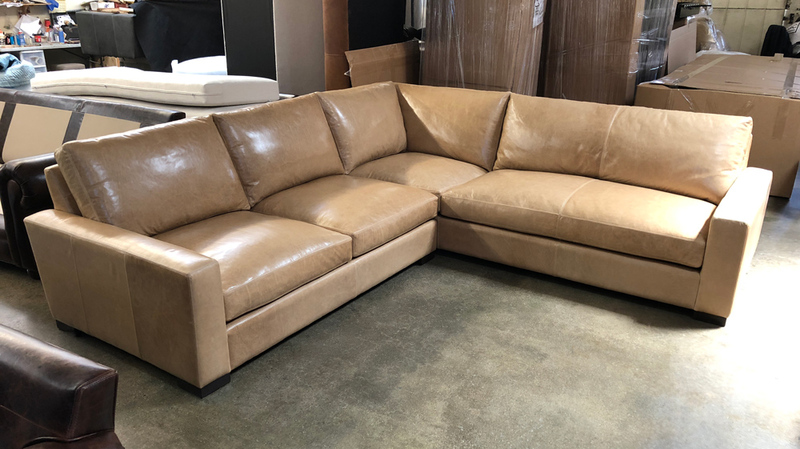 This entry was posted in Custom Leather Order Feed, Dexter and tagged 132" Long, 41" Deep, Dexter Leather Collection, Dexter Leather Sofa, distressed, semi-aniline, top, top grain, Vintage Brown on February 15, 2019 by LeatherGroups. 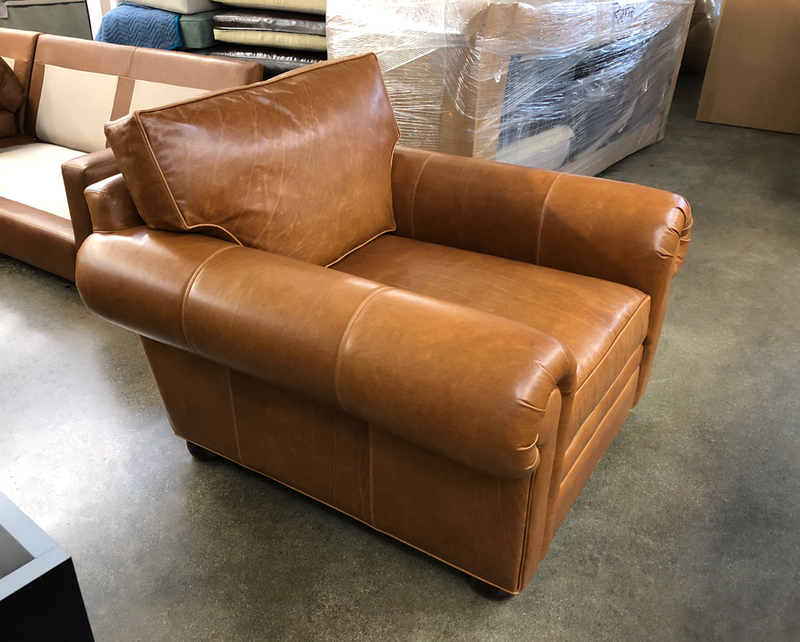 A recent acquisition by one of our customers in Atlanta, Georgia – Gorgeous! 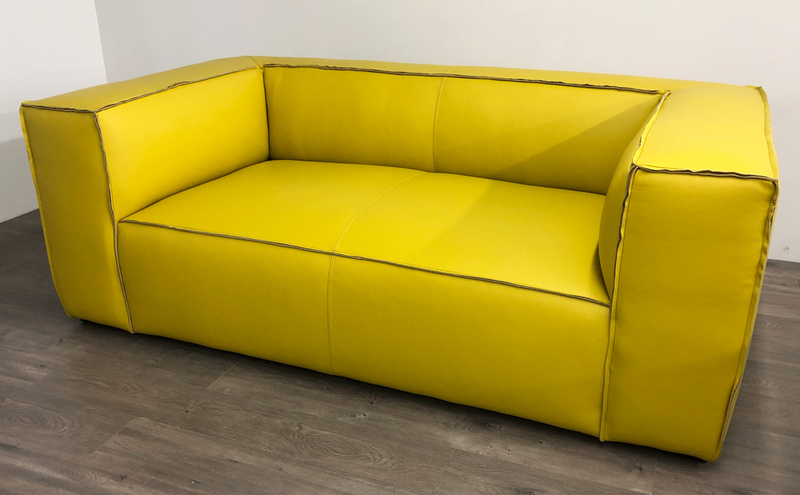 This is a 84″L x 47″D, Reverse-Seam sofa in Full-Grain, Pigmented Leather called Italian Jet Lemongrass. 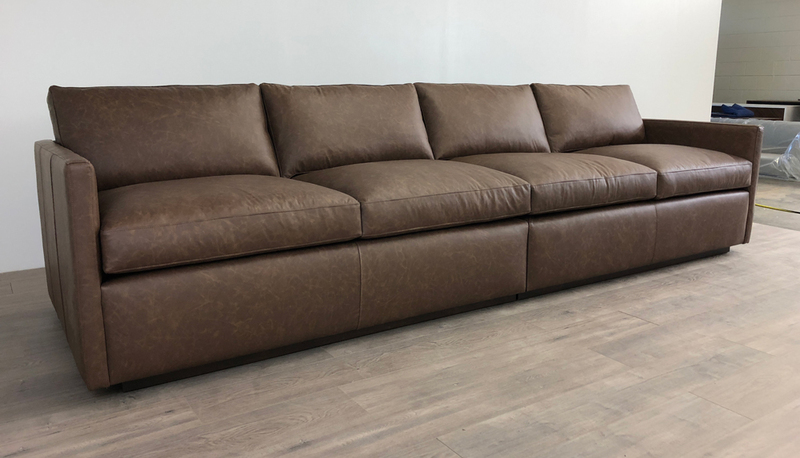 The Reverse-Seam Bonham style works perfectly with our Jet Leathers as well as our Berkshire and Brentwood leather. 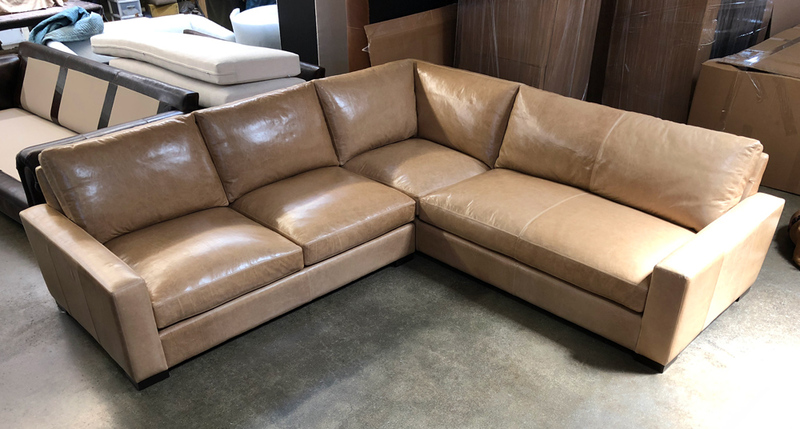 Our Jet leathers are perfect if you are looking for more consistent, uniform shading of color, or want to make a statement with a pop of color as this customer has (they are also available in browns and earth tones :). 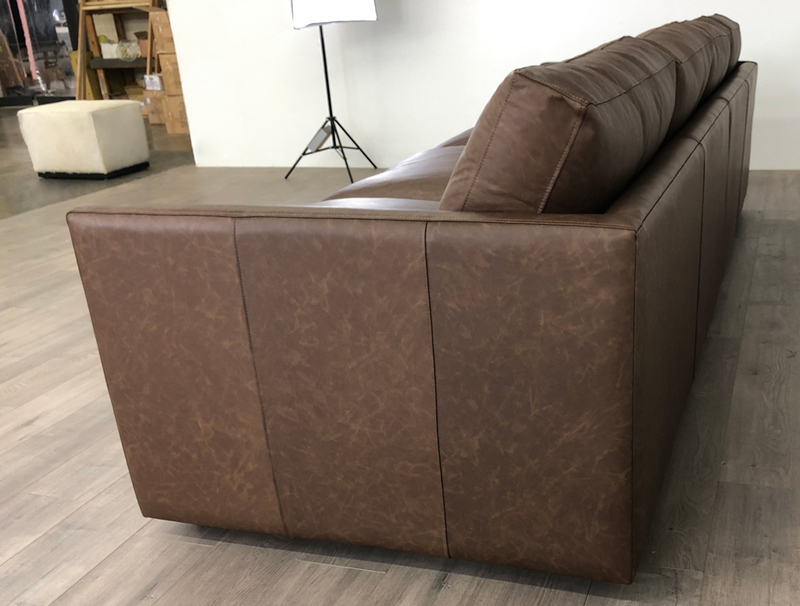 The finish of these leathers makes them a bit more resistant to scratching as well! 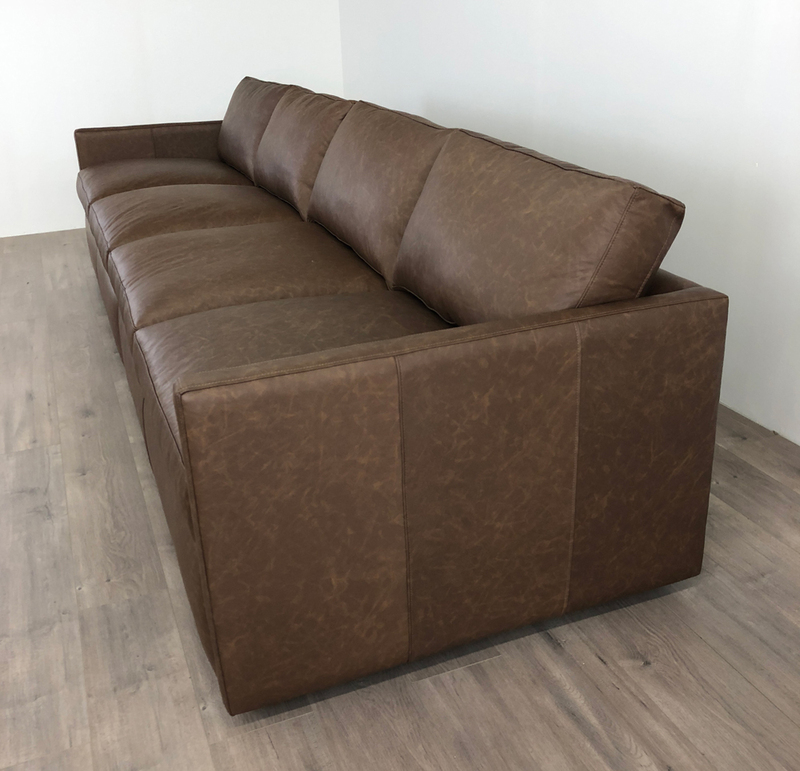 View and order samples of leathers on our site! 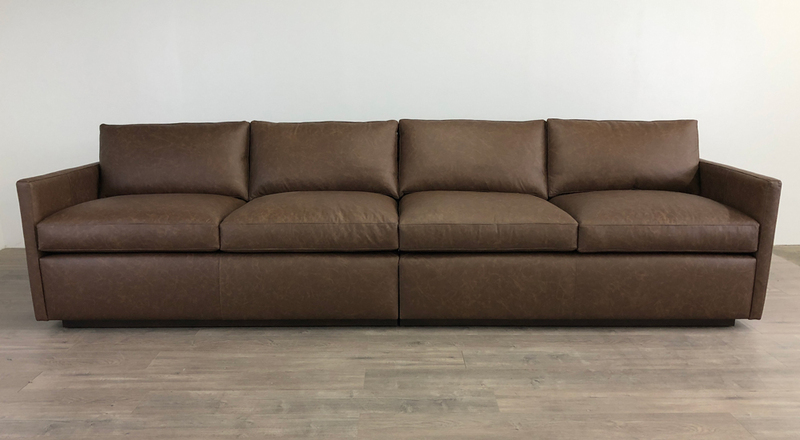 Check out the entire Bonham Collection here! 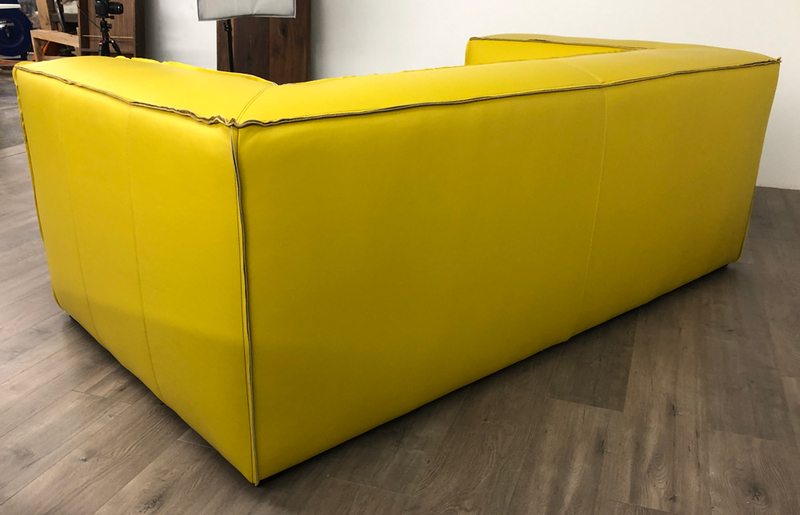 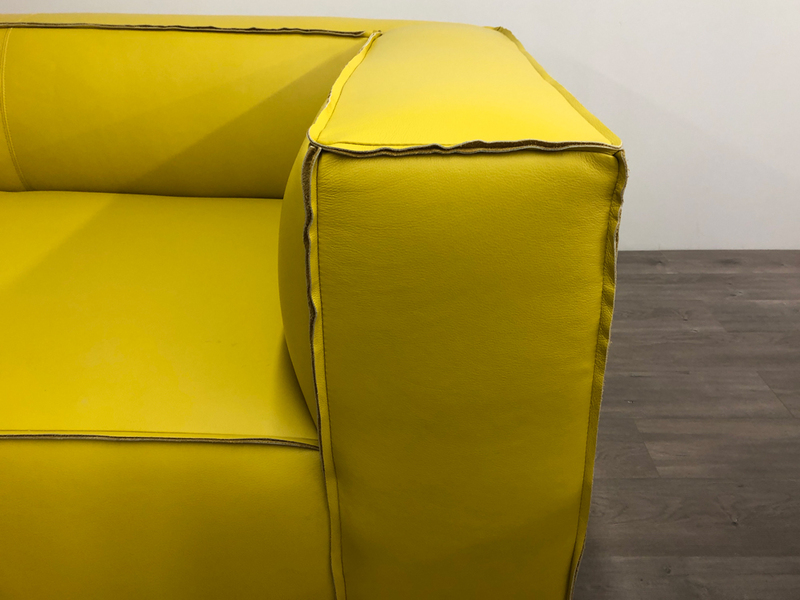 This entry was posted in Bonham, Custom Leather Order Feed and tagged Bonham Leather Collection, Bonham Leather Sofa, Canary, full grain, full grain leather, Italian Jet Lemongrass, Jet Lemongrass, Lemongrass, Pigmented Leather, Reverse Seams, Yellow, Yellow Leather Sofa, Yellow Sofa on February 14, 2019 by LeatherGroups. 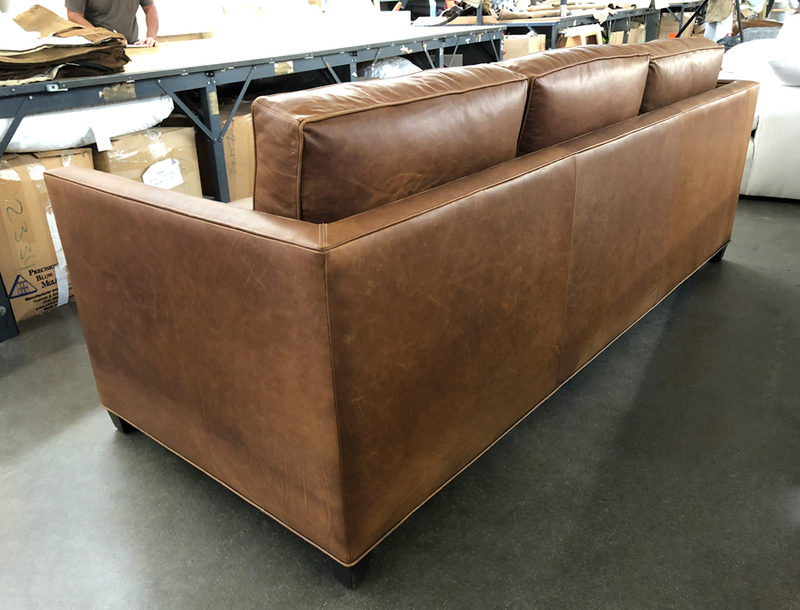 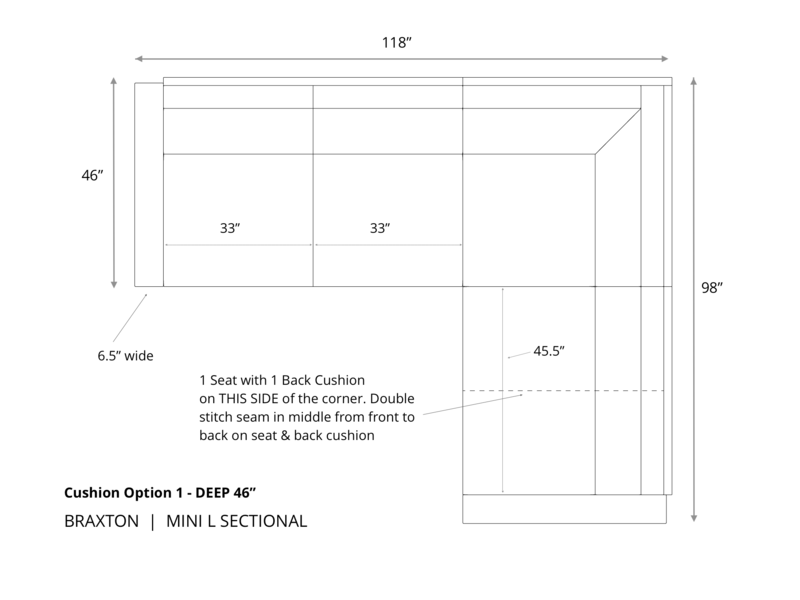 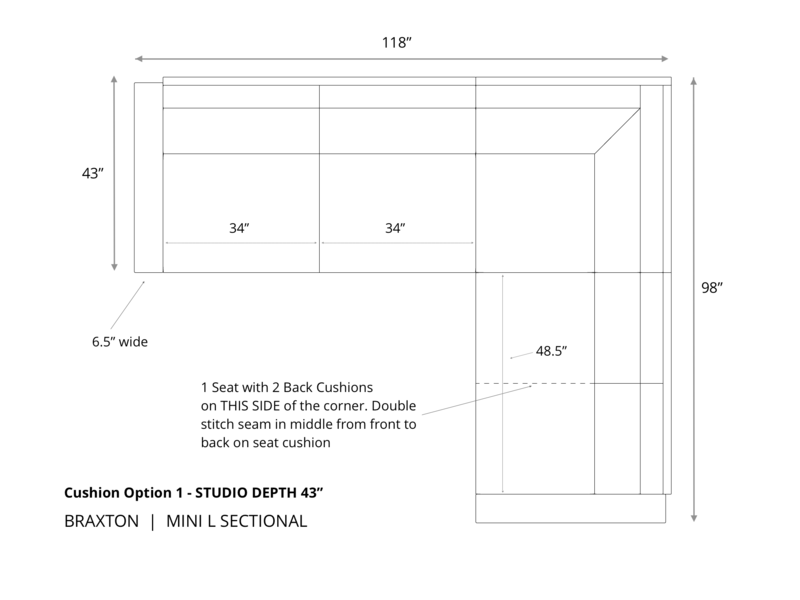 This customer designed just the right sectional to maximize seating within the size restrictions of the space she’s working with. 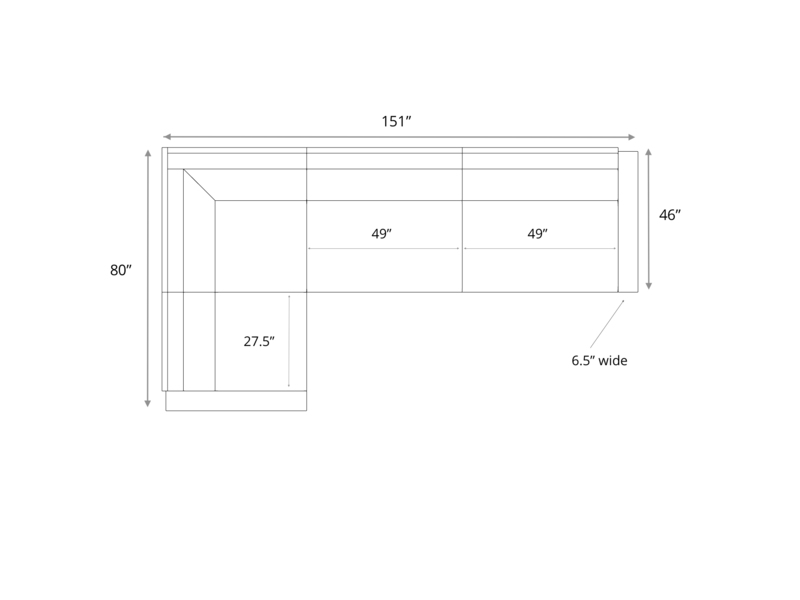 151″ length on the long side, and 80″ length on the short side was the formula to make it happen. 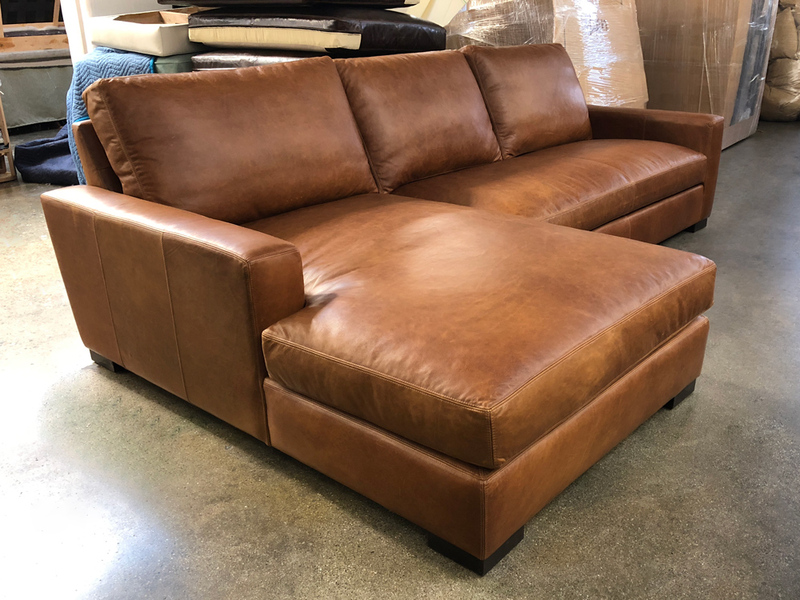 She was able to create a leather sectional that perfectly fit her space! 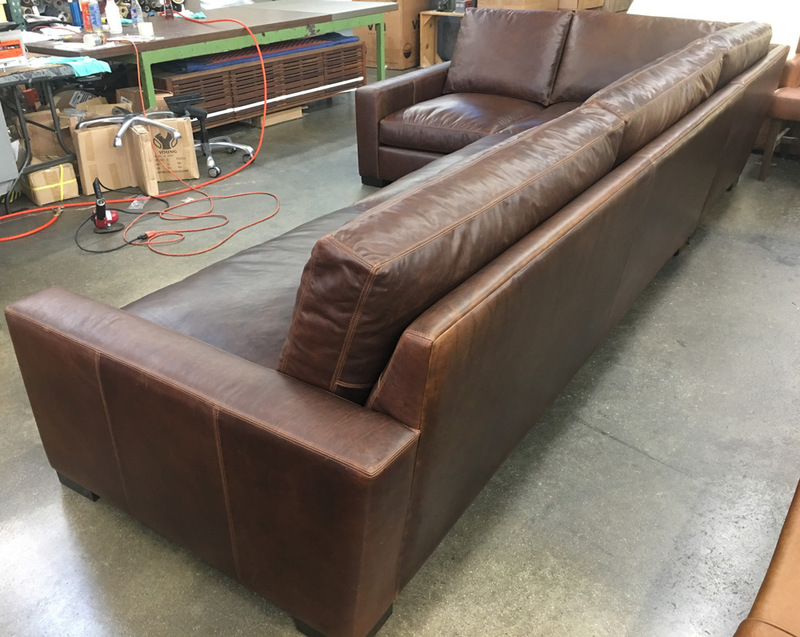 This entry was posted in Braxton, Custom Leather Order Feed and tagged 46" Deep, aniline dyed, Bench Cushion, Berkshire Cocoa, braxton collection, braxton L sectional, braxton leather sectional, braxton sectional, full aniline, full grain leather, Italian Berkshire Cocoa, maxwell leather collection, Maxwell Leather L Sectional, maxwell leather sectional, No Ears on February 12, 2019 by LeatherGroups. 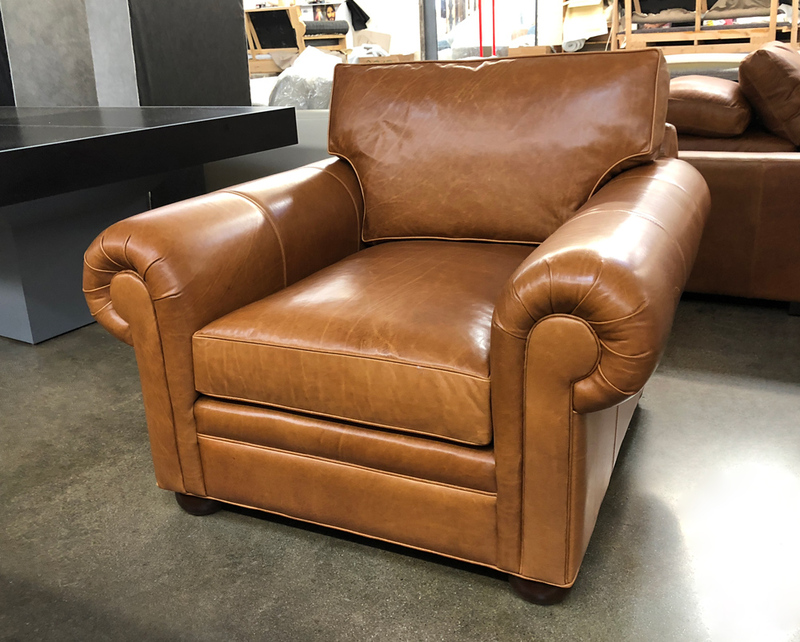 Our Langston Chair, tailored in Italian Glove Chestnut Leather, and made in the 48″ overall depth. 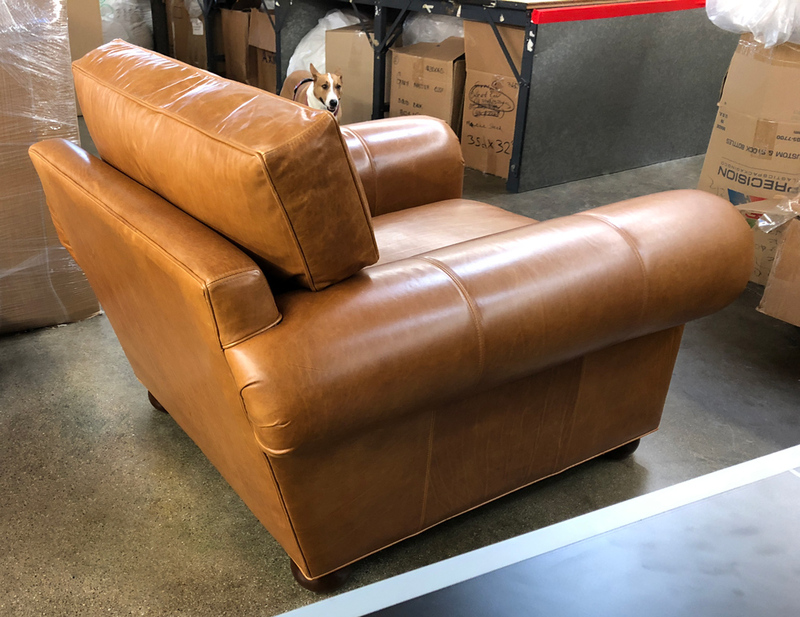 This chair sports a roomy seat depth of approximately 31″ and will just get better as the leather and cushioning break in, creating that vintage patina with a cozy feather & down top. 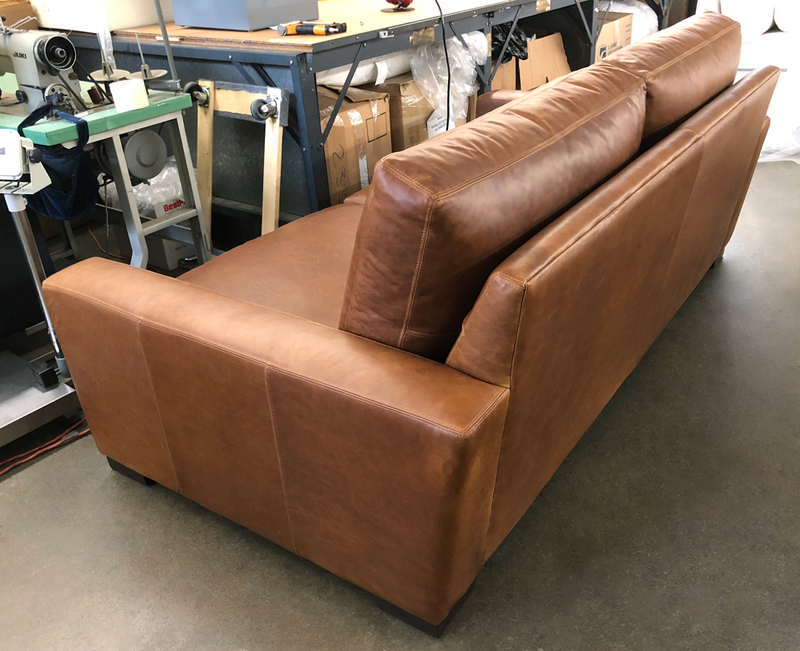 This entry was posted in Custom Leather Order Feed, Langston and tagged 48" Deep, aniline dyed, full grain leather, Glove Chestnut, Italian Glove Chestnut, langston collection, langston leather chair, pure aniline on August 29, 2018 by LeatherGroups.